Whether you’re selling your home or just updating the look, remodeling a kitchen or bathroom isn’t something most people will do more than once. You want to be certain that you’re getting the best value for your money – especially when it comes to your cabinetry – and that value translates into durability. Cabinet makers have hundreds of options in building your dream kitchen. When it comes down to it, though, a cabinet is just a wooden box, and it makes sense to start with the best box you can get. The very first decision the cabinet manufacturer will make is: Will I use MDF or plywood to make this wooden box? Because MDF is made up of such tiny pieces, there is no grain. Like particleboard, MDF has no knots. Unlike particleboard, MDF has no rough gaps or air pockets in its layers. What are some of the other advantages of MDF? Has a very smooth surface. May be used on cabinet door insets. Consistent appearance no matter how it’s cut. Edges don’t splinter with decorative cuts or routing. Let’s look at some of the disadvantages. Because it’s made up of compressed sawdust, screws can strip out very easily. Can’t be stained. Not only does it just soak in, there’s no grain to be highlighted. Any liquid spilled on it causes it to swell and buckle. With those disadvantages in mind, think of a kitchen: a run of cabinets, most likely stained to bring out the grain, with hardware, door hinges, and drawer guides screwed into place, and most activities in the space involving liquids of some sort. Many cabinet makers will try to balance cost and durability by using MDF as a substrate for a wood or melamine veneer, relying on the thin top panel to hold all of the screws, show off the finish, and protect the MDF from spills. Melamine wood is a less expensive alternative to using traditional wood, but can also be easier to care for. 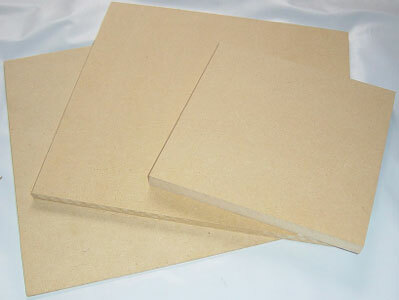 Melamine is made up of a core product of particle board or medium density fiberboard (MDF). The core is then coated with paper that is bonded with a melamine resin. Melamine comes in white, beige, or a wood grain color. 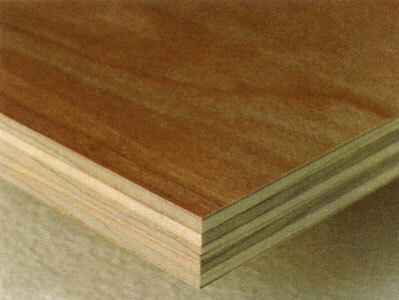 Plywood is basically stacked veneer panels, with the grains all running in different directions. It holds screws tightly, can be stained, hides scratches better, and won’t warp or swell if liquids are spilled on it. The only real disadvantage to using plywood is that the edges can splinter during shaping, but those wouldn’t be installed in your kitchen, anyway. When you think of the heavy use your kitchen is put to – the thousands of times doors and drawers are opened, the spills and splashes, the bumps and dropped items – you want your cabinets to hold up. Though more expensive initially, solid plywood cabinets maintain their beauty and durability over a longer period of time, which saves you money. Because you probably don’t want to remodel more than once. If you are considering a kitchen remodel give Artisan Cabinet Company a call to discuss your cabinet options.